Want to enjoy the rays but still protect your skin? Bathing suit season is quickly approaching, which means our drug store aisles will be flooded sunscreens of all types and SPFs. So how do you know you’re choosing the right one? Surprisingly, it’s not just about the SPF! 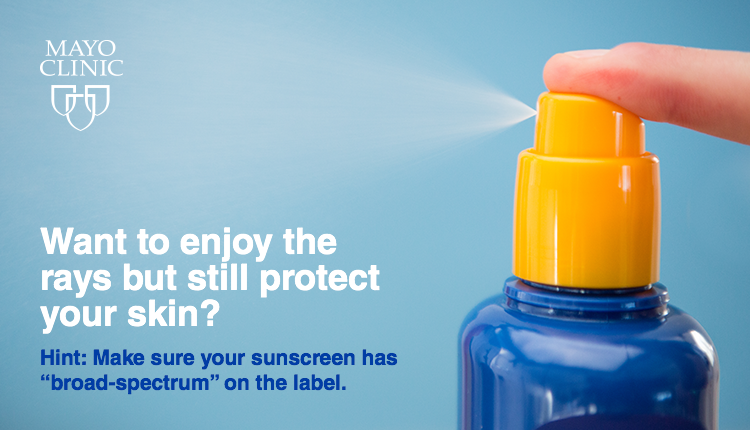 The key is to choose a “broad-spectrum sunscreen” meaning it protects you from both UVA and UVB rays. Learn more skin protection tips here. Bathing suit season is quickly approaching, which means our drug store aisles will be flooded sunscreens of all types and SPFs.